For Halloween I dressed as a druid, but no one knew what I was. 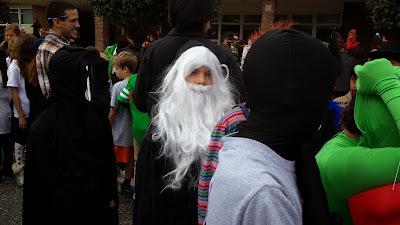 They kept asking if I was Gandalf, Merlin, Moses or even Rip Van Winkle. At school we had a parade and a party in our class. After school we went trick or treating. 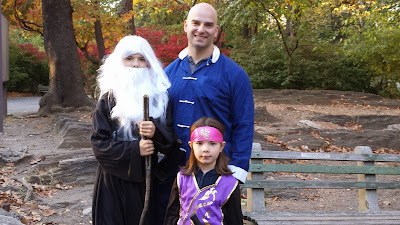 We went to the Bronx Zoo for their traditional Boo at the Zoo celebration. It was a fun day. We were only there for a few hours, but we managed watched the Boo at the Zoo story telling, listened to the band, watched the magic show, and walk around in costume. 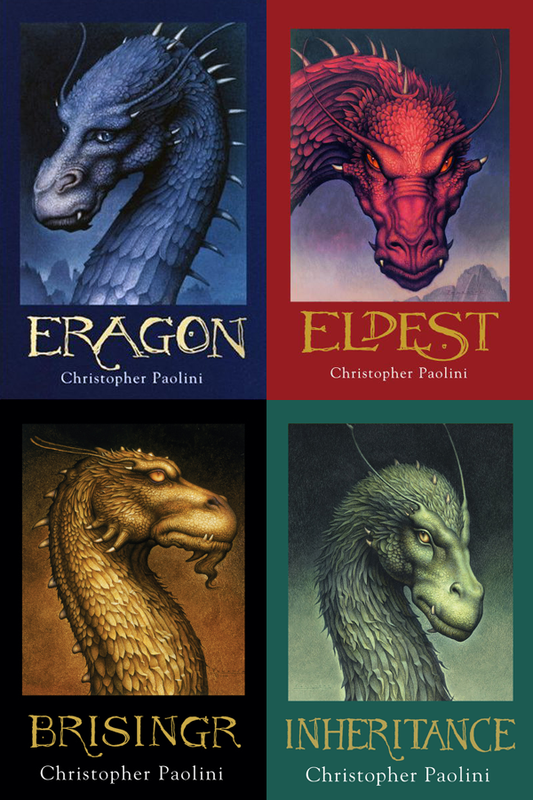 I read Inheritance by Christopher Paolini. This book was the fourth and final book in the Inheritance cycle. It’s about a sixteen year old farmer’s son named Eragon. Eragon finds a dragon in the forest and names her Saphira. They become the legendary “dragon and rider”, in-fact the only ones left to overthrow evil “king” Galbitorax. This text made me wonder why dragons are still so popular. I noticed that in some chapters Paolini wrote from Eragon’s point of view and others he was an observer. I give this book five stars because it managed to capture my attention and I remember it as up their with Harry Potter and The Lord of the Rings! 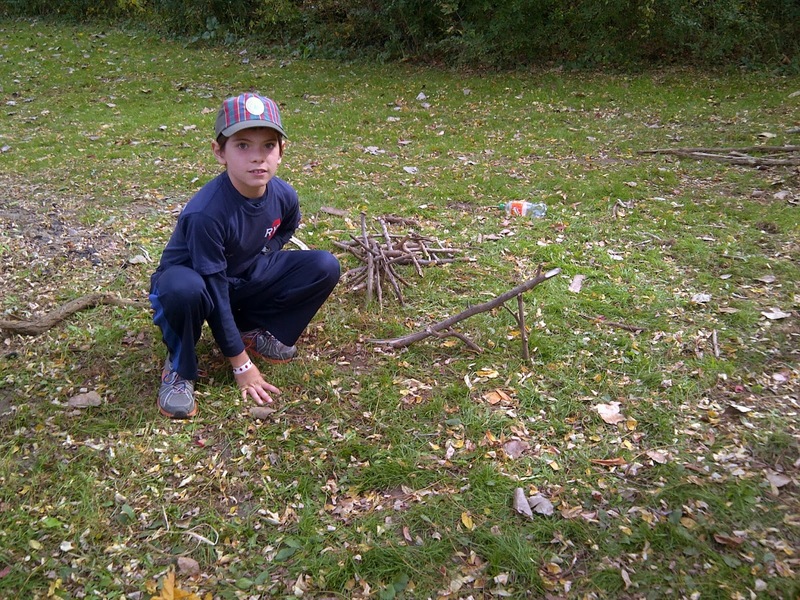 I went to the Thunderbird Games at Croton Point Park with the scouts. They had a lot of fun activities. Andi came with us also and she had lots of fun too. I put together my first current events report for 5th grade. It's about the recent reports on global warming. 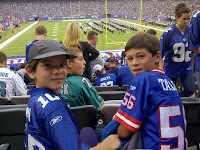 My friend took my dad and me to see the Giants play the Eagles at Giants Stadium. It was a lot of fun. My friends couldn't stay for the whole game, but it was probably just as well. As soon as they left the game went downhill and every play prompted a mass exodus from Giants' fans.